Tips for hosting a Twitter chat with your students—a handy tool for enhancing digital literacy and engaging introverts. There are many advantages to using Twitter chats in class. Teachers can use them to encourage digital literacy, offer immediate feedback on students’ ideas, and track participation via the chat hashtag. The format allows a large number of students to share thoughts at the same time, and may help shy students participate as they don’t have to speak in public. And Twitter chats can inspire creativity by allowing both students and the teacher to supplement the discussion with digital resources like photos and videos. 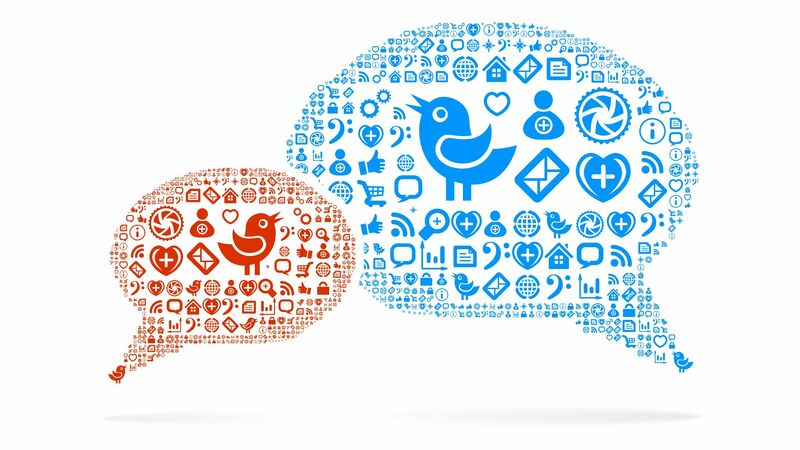 Before hosting a Twitter chat, the class should discuss aspects of digital citizenship, noting the implication of having a permanent digital footprint and exploring the concept of privacy (protecting passwords, navigating privacy settings, etc.). Because a classroom Twitter chat was new for me, I created was a checklist that comprised my learnings from meaningful chats I’ve joined, specific learning supports my students needed, and suggestions from articles on Twitter chats. I divided the list into three categories (pre-chat planning, implementation, and post-chat planning). 1. Hosting: Join an existing chat as a participant to learn the ropes. Then decide whether you need a co-moderator (due to large class size or your level of experience with Twitter), and whether you want to invite a special guest or expert to provide a fresh perspective on the course content. 2. Privacy: Communicate the public nature of Twitter to parents. Consider an opt-out alternative for students or parents who are uncomfortable with participating in the classroom chat. 3. Chat objective: Communicate the rationale of the chat to the students. For example, determine if the chat focus is to introduce new information or to review. Articulating the purpose makes it easier to meet students’ expectations. 4. Participant access: Offer multiple dates and times for the chat. Provide support for participants unfamiliar with Twitter, such as YouTube tutorials, articles, or an in-class demonstration. 5. Student voice: Ask your students for ideas on ways to evaluate what is acceptable and unacceptable chat behavior. Ask for student input on developing expectations related to the use of acronyms and abbreviations for names or concepts (such as IDK for “I don’t know”). 6. Student preparation: Provide chat prompts to students at least one week in advance. If the chat occurs outside of school hours, remind students the day before and the day of. 7. Content: Review the types of questions and hashtags typically used in a chat. Create open-ended and higher-order thinking questions, and a unique hashtag. We used #GoodBetterTest for our class chat on test-taking skills and later wondered if we should have made it shorter. Create images to accompany your chat questions, using software such as Canva or Pic Monkey. 8. Time: Allow yourself time to revise questions and identify online resources to supplement chat content. 10. Hosting: Model chat behavior such as retweets and mentions (using the names of participants within tweeted messages). Gently remind the participants of rules (use of the chat hashtag, use of the question number and answer number) as needed. 11. Comment intensity: To help focus on course-specific terms, assist students in moving back and forth between their own words and technical or course-specific terms. And help highlight particular content with the use of sentence starters. 12. Comment type: Remind students who struggle with character limits to break longer comments into multiple tweets. When all comments seem similar, prompt students to dig deeper: “What’s a different take on this?” And when comments are vague, prompt students to share a bit more. 13. Content coverage: Consider ways to respond when there are lulls in comments, such as by reframing the question or offering a brief ice-breaker. Determine how to smoothly transition from one question to another. For example, if too much time is devoted to one question, tweet that it’s time to move on to other topics. 14. Student voice: Encourage students to ask questions about the content. Prompt them to complete the sentence: “The one thing that I still want to know is _____.” Invite them to ask questions of their peers, and welcome their direct questions to you. 15. Time: Monitor the pacing of the chat by reminding students how much time is left, how many more questions remain, etc. Consider the tools available to help manage time, such as the app Hootsuite for scheduling and automating questions. 16. Chat objective: At the close of the chat, comment on how well the chat addressed the objective. 17. Analytic tool: Determine apps that may assist with managing the chat (see items 7 and 15 above, for example). 18. Integrated learning: Help students make a connection between concepts learned through the chat and future course content. For example, incorporate items from the chat in future homework, class work, or class projects. Do you feel the chat’s objective was reached? What was the most useful part of the chat? How might we improve the chat? 20. Social validity: Ask if the students would recommend a chat in the future. You can do this formally (in your survey) or informally (by talking with students one-on-one). 21. Confounding variables: Consider how factors outside of your checklist may impact the chat. For example, a large class size may affect participation levels. When looking at class size, determine if breaking the students into groups would make a difference. When looking at gender, determine how male and female student posts differed. When examining culture, determine if the chat content and questions were reflective of all types of students.